This is a story of one man in the Second World war, who sailed all the way from Canada to do his job, to be part of the liberation of Europe. This man, Mister Donald Somerville, I met on May 8th, 2010, during a manifestation in a large hall filled with vehicles from the Second World war. During this time I was involved in following the restoration of an M4A1 Sherman tank, in that same hall. The Sherman was getting a name, so, I was invited. But it was not the only vehicle to be baptized with a name. There was also a DUKW amphibian, standing alongside the Sherman tank. 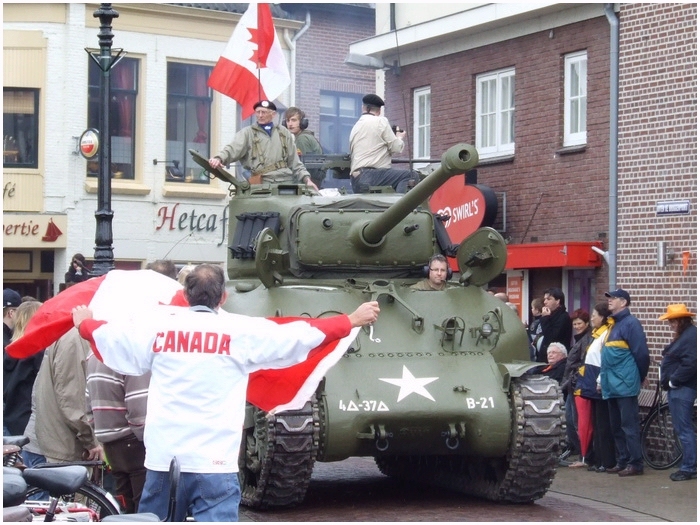 In the hall were plenty of veterans from Canada who had, in the week before this event, made a Memorial Tour through the city of Harderwijk. Enter; Mario van Gerwen,… This mechanic, who works for Goossen Foppen and owner of the vehicles, had the idea to give a name to the DUKW, and one in particular. 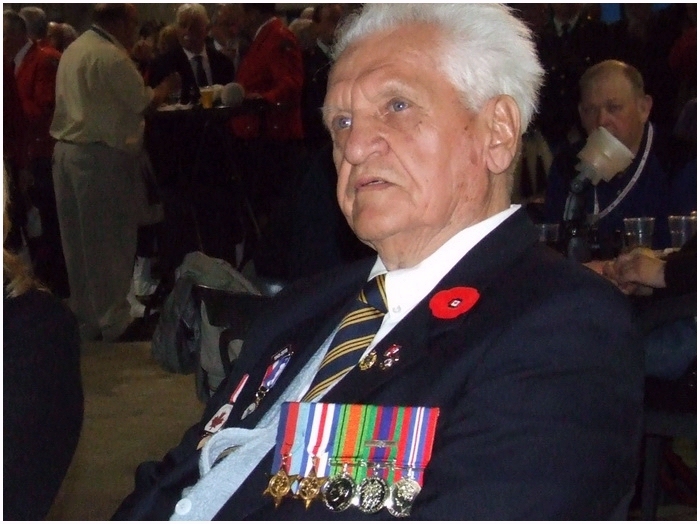 Mario spoke in this week with a Canadian veteran, and his exploits in Holland during the war. During this conversation, Mario became aware of the remarkable story this man was telling him. This man was once part of the 23rd Field Company, Royal Canadian Engineers, who clearded and (re)built roads and bridges, and was present during Operation 'Market-Garden' in Holland. And helped out during the evacuation when the 1st Airborne Division was stuck at Oosterbeek (west of Arnhem), and surrounded by Germans who closed in on these men. When he found out his name, Donald Somerville, he struck upon his idea, to name the DUKW after Donald. It was not just a joke, but serious business, because Mario praised these men for the job they had done. 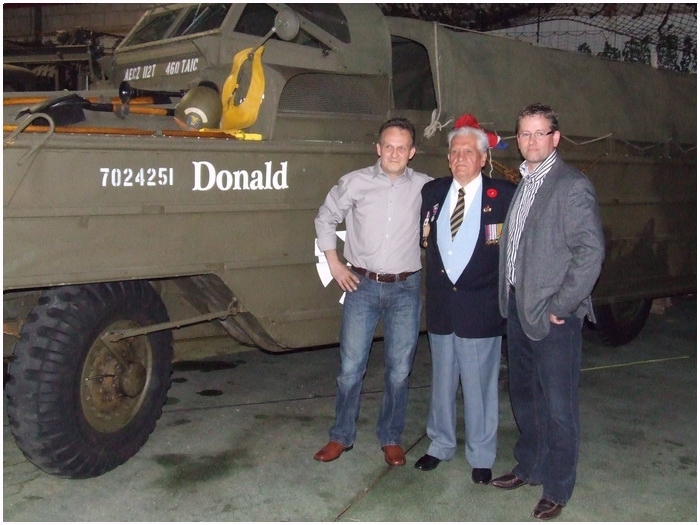 And so, on May 8th, 2010, Donald Somerville unvealed the name 'Donald' on the DUKW. But who was this man, Donald, and the other men from the 23rd Field Company, Royal Canadian Engineers? In the July 1941, Donald Taylor Somerville, an 18 year old Canadian arrived in England. Designated for the campaign in Italy in 1943, it was not to be, Donald stayed another year in England. With the invasion in Normandy imminent, Donald was assigned to the Sappers of the 23rd Field Company, Royal Canadian Engineers. This unit was already two years in training, so Donald had to prove himself to them. The next lines on Donald could not have been written without the fantastic help from Ryan Barr. 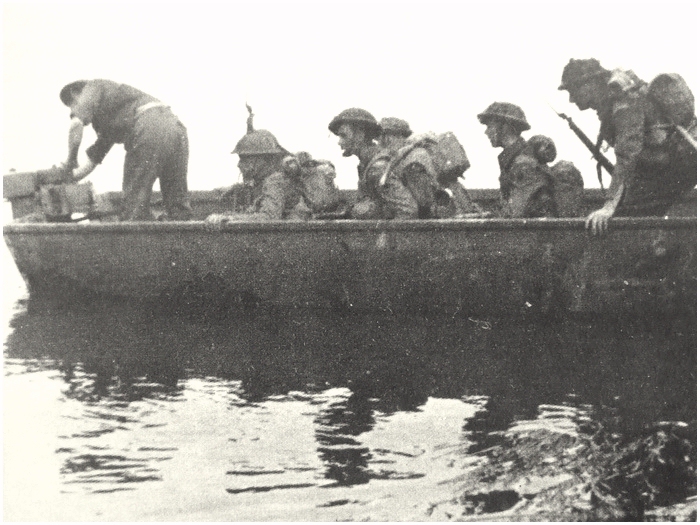 With the invasion in France already a month in the making, the 23rd Field Company, Royal Canadian Engineers embarked on July 9th, 1944, on the Liberty Ship, M.S. Lee Overman, and sailed to Normandy. The men disembarked in the Canadian sector, Juno Beach, two day’s later, on the 11th. The ship was anchored the night before off shore, because the beaches were packed with offloading Allied equipment. That same night German fighters flew overhead and the ship fired it’s guns. Donald thought they were either going to sink from enemy gunfire or that their ship was going to fall apart due to the rattling and the barking of the Navy guns onboard. Donald noticed the debris and de devastation when he came ashore. When Donald spoke about this to Ryan Barr, he told about one thing he would never forget, he saw a killed paratrooper smashed into a hole in a field, his parachute had failed to open. Was the devastation around the beaches evidence of the fighting, when Donald moved through Cairon, on the outskirts of Caen, he was shocked to find the demolition that had taken place around there. 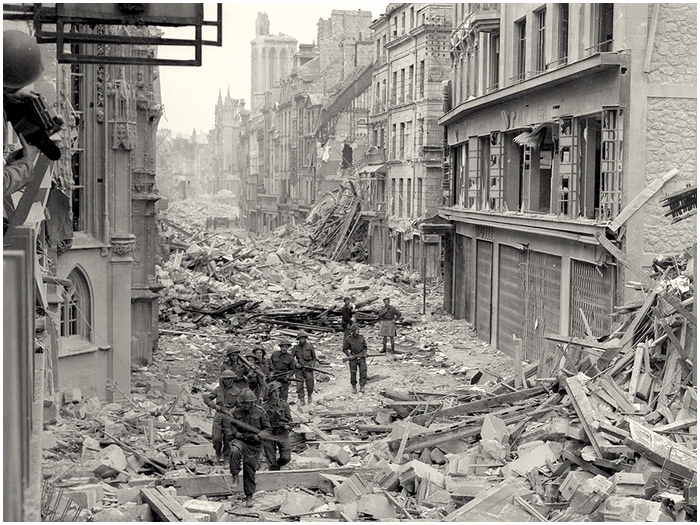 The 23rd Field Company went at work at clearing the roads through Caen, so the Allied troops could move to their next objective and breakout of Normandy, towards Paris. Their bulldozers plowed through the rubble, and potholes were filled. The path they cleared would be named ‘Andy’s Alley’. All the time the sappers had to be careful and on their toes, because of booby traps and sniper fire from Germans. After clearing the path, the Canadians built five bridges across the Orne river, Monty’s Bridge, the Winston and Churchill Bridges, one unamed, and the Reynolds Bridge. On the last one worked the 23rd Field Company, and was named after George Reynolds. 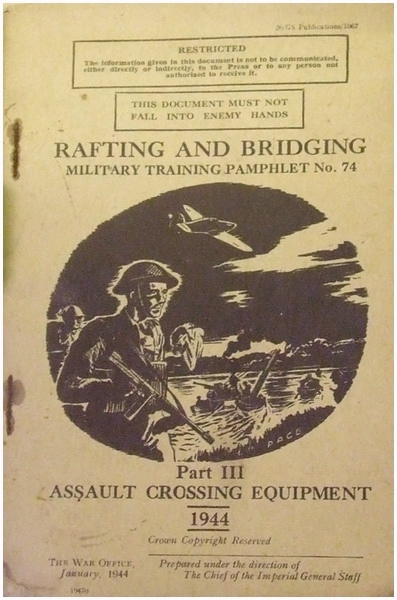 Reynolds was a member of the 23rd, and killed just before construction began on the bridge, when a PIAT grenade went of, and shrapnel hit Reynolds. The bridge was in operation after July 25th. Quit an achievement for just two weeks In France. In this period, Donald ran into his first injury of the war, when a jack handle went haywire and hit Donald under the chin. July and August were hot months in Normandy, but also sometimes very wet from downpour. In these conditions the Canadians were working in the east and south of the Caen region. On the 17th of August, somewhere between Vimont and St. Aignan de Cramesnil, the lorry Donald was driving, ran into a German Tellermine. The explosion was of an order that left Donald with a permanent hearing damage. But he also still sees the comical site of the ordeal when he thinks of the spare tire that took off as a launched rocket. Still busy on road construction, the order came for the 23rd Field Company to pack up and move to the Seine river and to be put under the command of 2nd Corps. Now the unit had to do what they had trained for, driving with the so called ‘Storm Boats’ across a river. They had to bring the Canadian 4th Armoured Division across the Seine River near Pont De L’Arche. The ‘Storm Boat’ was powered by a 50 HP Evinrude outboard motor and could carry up to 6 troops and two crew members. The 23rd Field Company assaulted the river with success. Only some minor injuries were sustained due to some occasional shell and mortar fire. Until the 31st of August, the 23rd Field Company were crossing the river with reinforcements to built up the bridgehead on the north-eastern shore of the Seine river. After this task was done, the men began building a bridge across the Seine, which they completed within 24 hours. 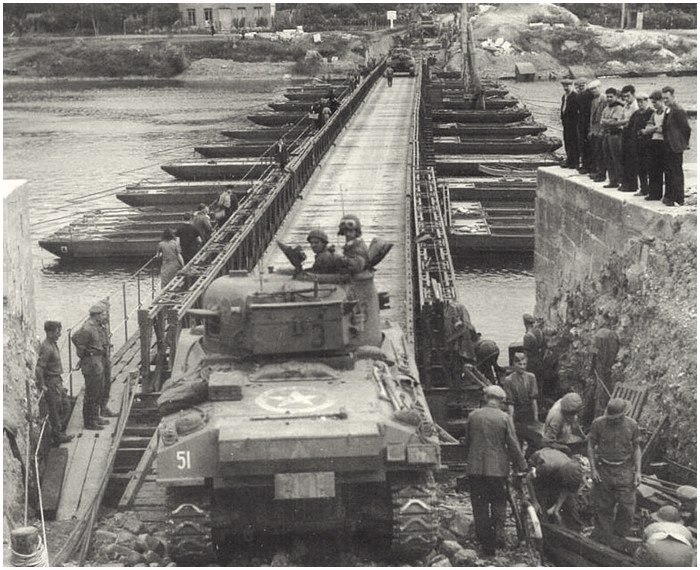 The bridge across the Seine, was a Bailey Pontoon Class 40 bridge. On the 1st of September, traffic was allowed to cross the bridge from 07.00 hours. In a long stream of vehicles, the remainder of the day, the 2nd Canadian Corps run the bridge at a reasonable speed. 23rd Field Company took care of this bridge and another one built by the 1st Polish Armoured Division. The bridges itself needed little maintenance, but the approaches needed a constant watch, so a 24 shift was in order to work on this part. There was for the most of the 23rd Field Company time to rest at their camp near Criquebeuf. Within 48 hours the traffic continued north bound in a steady stream. 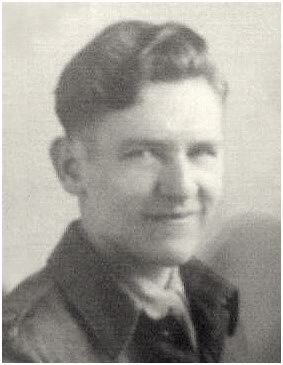 On the 3rd September, the unit went to Boos, near Rouen, for a 24 hour rest, among them, 3rd Platoon, Donald Somerville his unit. At 18.00 hours, on September 5th, the 23rd Field Company moved form the the Rouen region to the north to take position in a new ‘harbour’ (camp) area southwest of Abbeville. A section from 1st and 3rd Platoon stayed behind at the two bridges, to hand them over to the Canadian Army Group Royal Engineers, so they would take over the maintenance. They arrived on the 6th September, around 01.30 hours, so they rested for the rest of the night. Next day the road from Moyenville towards Abbeville was checked for mines by 1st Platoon. 2nd and 3rd Platoon started mine clearing from the crossroad west of Abbeville towards EU. On September 7, there was little to be done, because of heavy rainfall. The next day, when the rain had stopped, some section went to work on several bridges in the Abbeville area. Two were built on this day, a 50' double single, and a an 80' double single Bailey bridge. 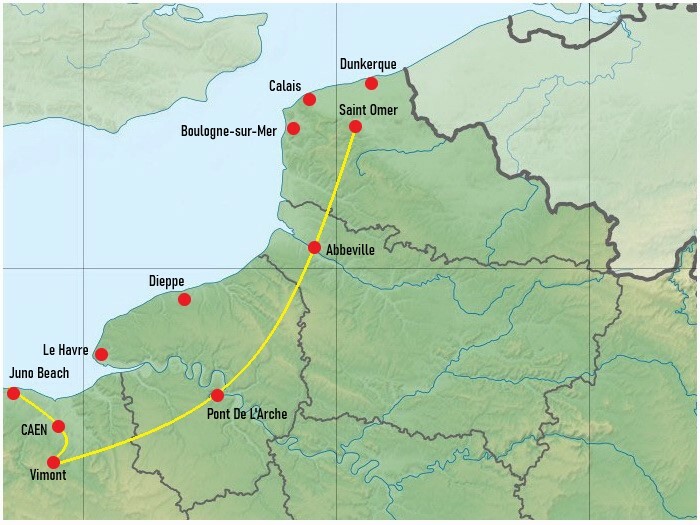 The Officer Commanding Lt Kennedy, Lt. Cronyn and Lt. Tate proceeded around 17.00 hours north, to the St.Omer area, to check out the road, bridges and for accommodations for the company. The last they found at an abandoned German Anti-Aircraft station near St.Omer. When the unit arrived on the 9th, it was raining again, but now they had a roof over their heads, the first since arriving in Normandy. Later that day, the new commander Royal Engineers arrived, Lt. Col. J.C. Byrn. The next couple of days work was done on the down route from the Le Nieppe via the north fringe of the forest Clairmarais. On the 14th September, 1944, Lt. Col. J.C. Byrn, and Lts. Kennedy and Tate left in the morning for Brussels. They had to find accommodations for their troops, because they could be involved in the operations in Belgium, and more to the north, into Holland. The next day, all equipment were loaded for departure on the 16th. They arrived in Brussels at 18.00 hours, but due to heavy traffic, it took the company an hour to pass through the city. They drove on, some 30 miles, before they halted for the night and a rest. And so, the 17th September arrived, the start of Operation Market-Garden. The 23rd Field Company was now at the Albert Canal. Major Tucker and Lt. Kennedy returned to Brussels to guide 10 Canadian Field Park Company to the new area. Meanwhile, 23rd Field Company crossed the Albert Canal via a Bailey Pontoon bridge and halted just north of it, near Hechtel. The rest of the day was waiting, on what to come. The unit had 200 miles behind them when they left St.Omer. The unit was on standby for their part in Market-Garden.